This month we decided to do something a bit different for Catch A Smile Day! I posted this message on my personal profile and was thrilled to receive a bunch of nominations. Gooooood morning! Last week I was given a voucher for a manicure & pedicure at a really nice nail salon as well as a Glambox. It was such a nice gesture from the event organizer. When I got home I thought to myself “I have so much and am so blessed. I would rather give these gifts to a woman who could really use a smile.” Then I took the idea a step further. This month’s “Catch A Smile” – Random Acts of Kindness around the World Day is May 21 and the suggestion is to do something kind “for those who help others for a living.” I would like to put together awesome care-packages for some people and need your help. Can you please nominate women and men, in the Dubai area, whom work really hard to to take care of others and could use some cheering, appreciation and a surprise gift basket delivered to them? Please send your nomination including their name and why you think they deserve it to our Clowns Who Care Project Inbox or LOL@dubomedy.com. Thanks!!! Twelve women were nominated by the public. Their stories ranged from dedicated pre-school teachers to a Greek humanitarian to a school teacher whose husband recently passed away to a female security guard who often goes unnoticed to a hardworking nurse who literally helps save lives for a living. We were very touched by all of the nominations and were honored to be able to bring a smile to their faces. Our gesture was very humble but you could tell it was greatly appreciated. 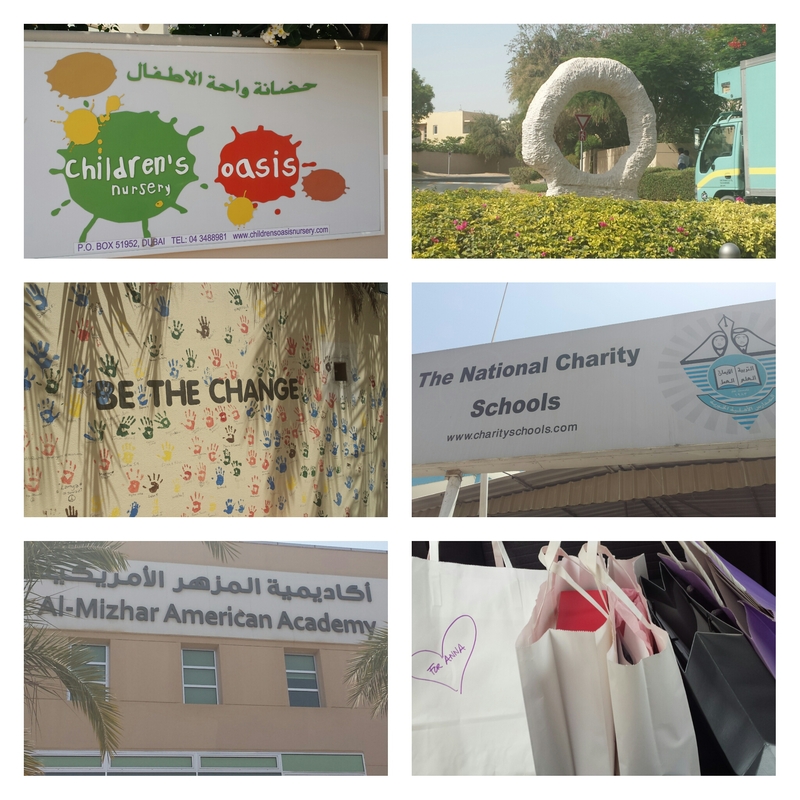 To round things out, and include men, we also surprised some members of the cleaning crew who work on the American University of Sharjah Campus and later headed to a small shopping center to hand out vouchers to hard working employees there. We would like to thank everyone who took the time to participate as well as those who nominated such deserving women. In addition we would like to extend our gratitude to Omar Al Gurg and Rabee Morra who helped us with our deliveries. We couldn’t have done it without you! Once our hearts and eyes are wide open to kindness, you will see opportunities to help those in need on a regular basis. It doesn’t take much time or money, just the desire to spread some joy. Won’t you join the movement? We love hearing your Catch A Smile stories! Here are a few we received this month to inspire and encourage you. Lakshya Yoga ‘s Act of Kindness of this month: free yoga session for 60+ labourers! This entry was posted in Uncategorized and tagged catch a smile, Clowns Who Care, CSR, dubai, UAE by clownswhocare. Bookmark the permalink.